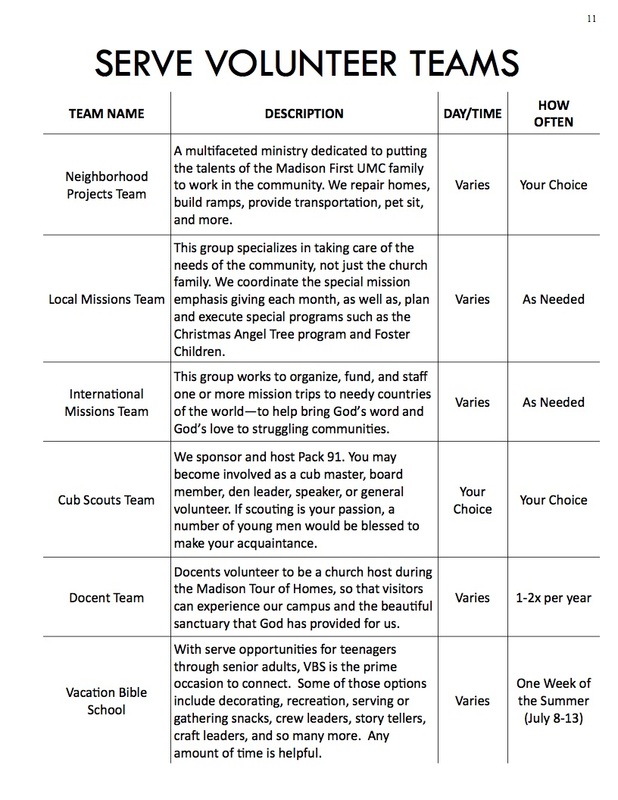 Working through a monthly “Mission Emphasis” and the Serve Volunteer Teams, Madison First UMC endeavors to be a mission minded church that equips and empowers others to do work that matters. The “Mission Emphasis” collects donations for programs such as Circle of Love, Camp Twin Lakes, Habitat for Humanity, Meals on Wheels, FCA, Caring Place, Wesley Foundation, Meals on Main, First Call Pregnancy Center, Action Ministries, and many others. You can help make a difference by giving to our monthly “Mission Emphasis” or signing up to join one of our Serve Volunteer Teams.